Identification: Bulls are black and cows are mainly brown but occasionally black. Vertical white lines on the face, white tummy, white inner thighs and buttocks. Both sexes have horns. Size: Shoulder height 135cm. Weight - 230kg. Habits: Groups of up to 200. Territorial. They sometimes fight to death to protect territories. There is one or two dominant cows in a herd. They graze in the mornings and afternoons and rest in the shade during midday. They are selective grazers and prefer grass of medium length. Calve from January to March. Distribution: Kenya, Tanzania, Malawi, Zambia, Zimbabwe, Mozambique, Botswana, South Africa. 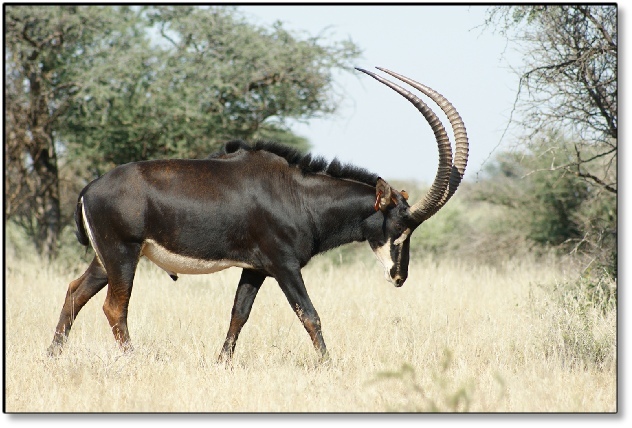 The Sable antelope is one of the flagship wildlife species in Africa. They have a calving interval of 11 months. 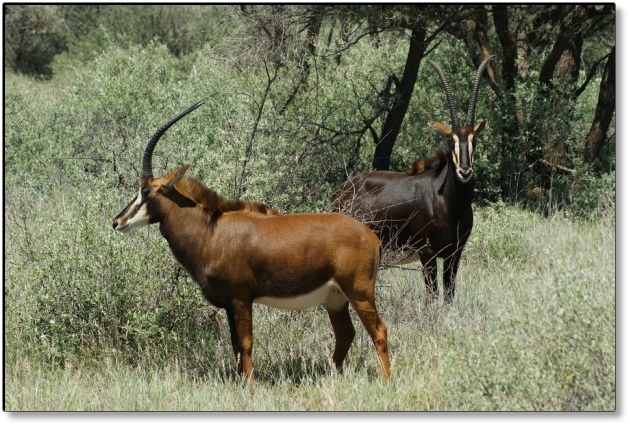 The Sable is a selective grazer and is easy to farm with in a suitable habitat. The prices of Sable have soared since the Malawi imporation of 1991. We offer excellent genetics at Mattanu with a herd that consists of Malawi, Zimbabwe and Zambian bloodlines. 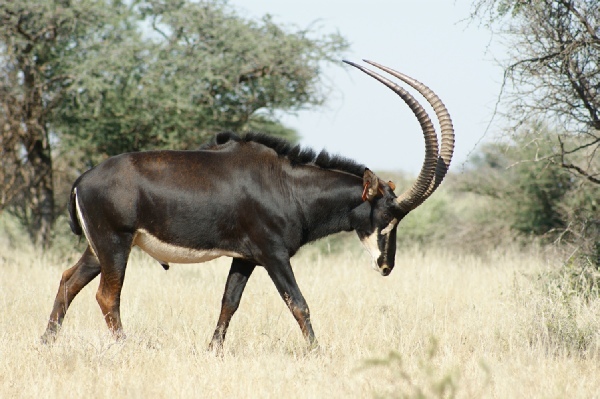 We have recently introduced Andrew, a new Sable bull with great potential and his father is the well know sable bull “Piet” , with a hornlength of 53.5 inches.